01/04/43 to 10/47, No 7 Air Observers School, 2/44 renamed 7 (Observer) Advanced Flying Unit, 5/45 7 Air Navigation School, 6/47 2 Air Navigation School, moved to Middleton St George. 01/08/43 to 26/05/45, No 12 Air Gunnery School. 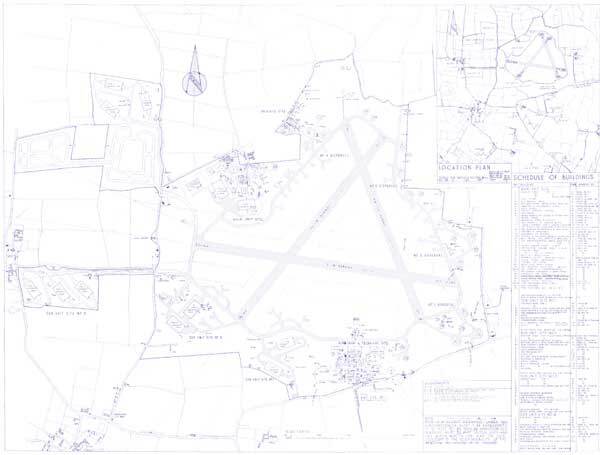 06/43 and 09/44, Airfield used by Coastal Command Liberators. 01/48, Airfield on Care and Maintenance. 03/52 to 04/54, Re-opened and No 3 ANS formed here with Ansons and Varsities. 02/88 to 07/90, No 3 (Field) Sqn RAF Regiment.